Mutual Fund & Stock Market weekly research report. This week, all the major indices ended with marginal gains. Among key indices, Sensex gained 0.49%, outperforming broader market indices. Let’s find out what happened in the market last week. Last week, Sensex ended with modest gain of 0.49% comparatively higher than broader market indices where S&P BSE Midcap and S&P BSE small cap ended slightly higher by 0.19% and 0.12%, respectively. Other large cap indices i.e. S&P BSE 200 and S&P BSE 100 were up equally by 0.31%. DIIs invested capital worth INR 1394.86 crore. It acts as a positive indicator for investors sentiments. Globally, progress in US-China trade talks and growth in Chinese manufacturing data also lifted sentiments. On the domestic front, RBI cut repo rate by 25 basis points to 6% that were in line with the expectations while MPC maintained policy stance to neutral. In the meeting, MPC also lowered the GDP growth projections for financial year 2020 to 7.2% as against 7.4% growth rate projected earlier weigh on sentiments and restricted market gains. Despite this, Nikkei India Manufacturing PMI slipped to 6-month low affected sentiments negatively. PMI dropped from 54.3 to 52.6 as lower demand took a toll over sentiments and capped gains. Among 11 sectoral indices, 3 sectors traded in green. BSE Metal was the top-performing sector, grew above 3% due to trade-talk progress between the US and China. BSE Auto and BSE IT sector also witnessed some buying pressure hence, ended higher by 2.67% and 1.80% respectively. Many sectoral indices traded in red, among 11 sectors, 8 sectors ended lower. BSE Oil & Gas was the top laggard, down by 2.81%. BSE consumer durable, energy and bankex also seen some selling pressure, henceforth, down by 1.68%, 1.49% and 1.14%. BSE FMCG, power, capital goods and healthcare traded marginally lower by 0.97%, 0.62%, 0.59% and 0.53% respectively. Overall, the market ended on a positive note and stayed above the crucial levels. Looking at the market sentiments a positivity can be expected in the coming sessions too. 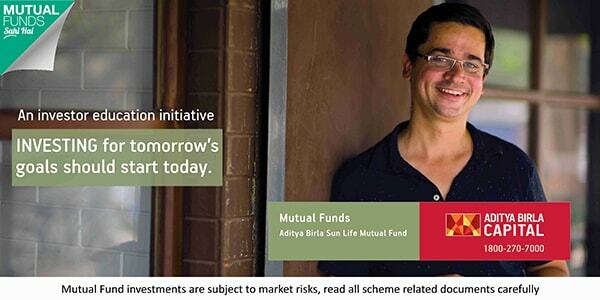 So, stay tuned for the next weekly mutual fund and equity market update to make informed investment decisions.